Owners of Google’s Pixel and Nexus phones who also use a Chromebook would be well aware of the awesome instant tethering which detects a lack of internet and initiates a hotspot on your phone if required, and now it’s rolling out to non-Google phones as well. According to tips rolling into to Android Police, the Instant Tethering feature has shown up on OnePlus 6 and Samsung Galaxy Note 9 handsets which have shown a notification popping up saying their phone is connected to their phone. One user was on Chrome v71.0.3578.94 (Beta Channel) on their Chromebook, while the other was on v73.0.3669.0 (Dev Channel), with the user on Dev channel switching it on using the chrome://flags/#instant-tethering flag. The setup did involve adding the Note 9 under the connected devices settings and accepting the prompt to switch on Instant Tethering, but it seems as simple as that. It’s not working for everyone as yet, it doesn’t work on my Pixelbook or Pixel Slate with my OnePlus 6T – but I am on the Stable Channel and I’ll be changing up to Beta to test it out further shortly. It really is quite a good feature to have, streamlining your workflow and taking one less hassle over setting up a hotspot to get connection. Written for people who know what it is and does, I still don’t know. 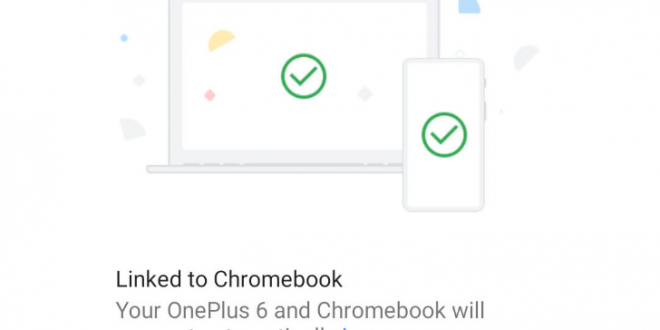 What it means is with a Google Chromebook and a Google Nexus or Pixel phone, the Chromebook can tell the phone to turn on its WiFi hotspot capability. Google are now applying that capability to non-Google phones. See inside the Samsung Galaxy Fold – hinges, ribbon cables, delicate screens and more · 11 mins ago.